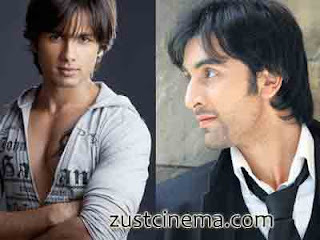 Shahid or Ranbir in tamil film KO hindi remake . It was a buzz that bollywood Khiladi kumar Akshay Kumar to play the lead role in the remake version of Tamil film KO in Hindi. But as of Tamil actor Ajmal,who has seen in a key role in KO film,Ranbir Kapoor or Shahid Kapoor might play the lead in KO hindi version. Jeeva in the lead KO tamil movie is a political thriller film which was directed by cameraman turned director K V Anand released in tamil and running succesfully with profit collections along with the telugu dubbing Rangam. In a recent casual press meet Ajmal said if all goes well he might play the same role as in original in hindi version.But now all were not finalised ,the talks are in progress. So lets wait and See whether Shahid or Ranbir clicks on Ko movie in hindi remake ?..